As the best choice for low cost care referrals, many clients count on us to find caregivers who will provide care around the clock. These caregivers live in with clients, and offer an exceptionally affordable option for those who require consistent one on one care. We refer caregivers at the most affordable costs possible, so our clients save 25% or more off average industry prices on home health care. In addition to cost savings, Value Care clients manage their schedules with their choice of experienced, qualified professional caregivers. Whether you need around the clock care or someone to simply help around the house a few times a week, we will find the caregiver who best fits your needs. Value Care never adds extra referrals fees for weekend or holiday visits. We want you to be able to afford the care you deserve. 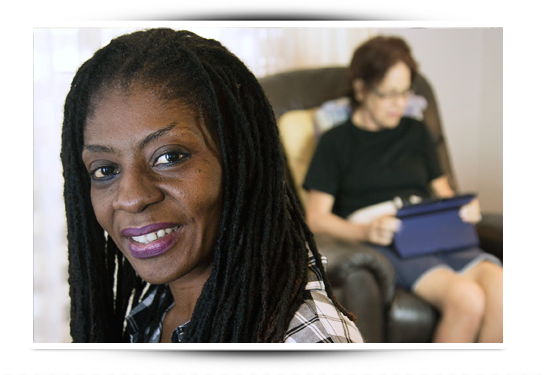 We thoroughly screen all caregivers who register with us through legally required screening processes, including a criminal background check. In addition to this, we screen them through our own process, which we call our FIVE STAR PROMISE. This process allows us to be confident that more qualified and experienced caregivers will be referred to our clients, and is pivotal to the success of our Care Match Program. Companionship; someone to talk to, someone to listen, someone who cares.